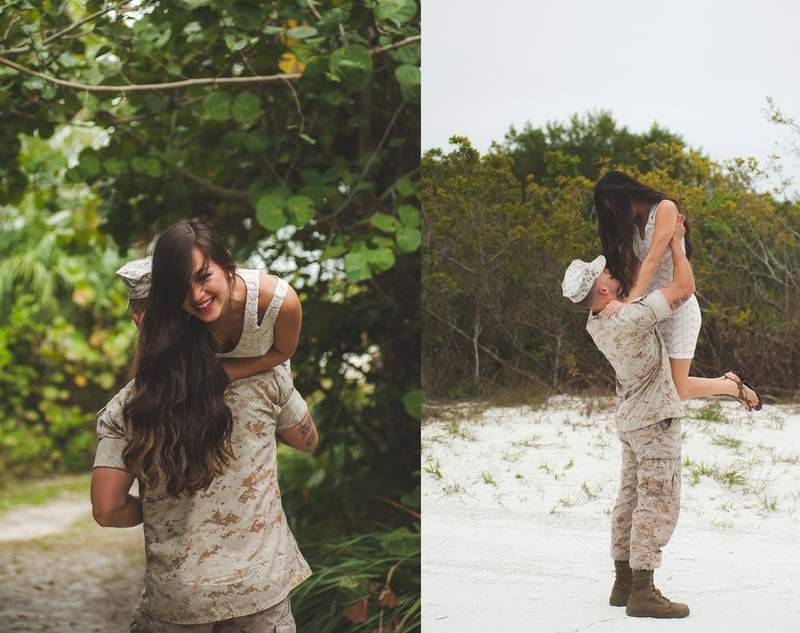 So, I would be lying if I said that I have been secretly jealous of all these other photographers who have had the opportunity to photograph an engagement session with one of the participants being in uniform. A good friend of mine did a session last year and as I looked through her images, all I could think was, I want my own military session. Well, I got it! Engagement photography is one of my favorites and we took advantage of a few local locations in Fort Myers Florida for this one. Including the use of a horse farm thanks to a very generous family member of mine! ( Thank You again Kelly!) Megan and Tyler have a super sweet story that I just couldn't do justice on my own of retelling, so I'll let Megan do it in her own words. Tyler and I went to the same high school, Estero High. Tyler was one grade ahead of me. We had mutual friends and knew of each other during our time in high school but never hung out alone. His best friend, Patrick, used to give me rides to school every day and one day when Patrick’s car broke down, Tyler gave us all a ride to school. But, Tyler has no recollection of this morning. As years passed, we both graduated and went off to college. Tyler decided to join the Marine Corps after finishing his first year of college. 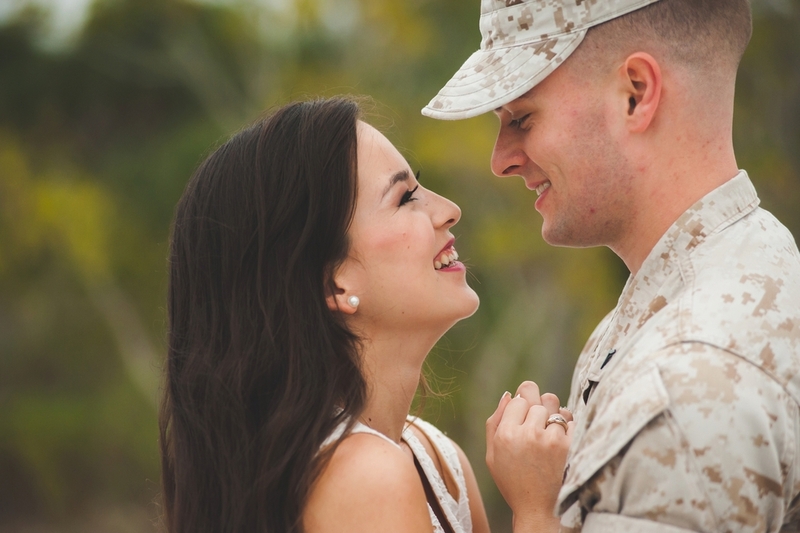 He came home from Pensacola on annual leave in February of 2014 before he was moved to his unit, where he would begin his real job in the Marine Corps as a flight equipment technician. My best friend, Emma, was currently and still is, in a relationship with one of Tyler’s good friends, Dylan. Emma had invited me to meet at Tyler’s house before we went out to the bar to have our girl’s night out. From the moment I saw him again in his house, I knew he was going to be mine. I had this feeling that I never felt before. Every woman in my family had told me in previous years that I would know within the first five minutes of talking to a man if I were to marry him or not. Tyler’s leave ended very quickly and had to go back to base in Jacksonville, North Carolina. I was very upset that I only had a few days with him before he had to go back, but that’s part of being with a man in the military. We talked every single day, for almost all of the day until I saw his face again in May of 2014. When he was home, we never left each others sight. We adapted very quickly to him leaving for a few months at a time and coming home for only a short period of time. We also got used to only being able to see each other on Face Time. Tyler came home again for Thanksgiving of 2014 and I never caught on to any of his plans. He took me shopping on Black Friday at midnight, he took me shopping the next morning, he took me to get my nails done, all which was normal. We went out to dinner to our favorite restaurant, Carabba’s, which again was normal. While we were finishing eating at Carabba’s, our server came to our table to tell us that Matt would like to buy us dessert. Well, my step-brother’s name is Matt so I got up and started looking for him but I couldn’t see him in the restaurant, so I was quite confused who Matt was until the waiter came back around to inform me that it was the manager. I sat there and thought, “What did we deserve to get a free dessert?” Next thing I know Tyler is scooting his way out of the booth and the server gave him a plate, which Tyler then passed to me. The plate had four chocolate covered strawberries (my favorite) and in red icing it read, “Will you marry me?” Tyler got down one knee and of course I said yes! All the best to these two! It was such a pleasure to meet them both and to get to record this chapter in their love story! I love shooting in Koreshan State Park and Historic Site. Located in Estero, FL, Koreshan offers clients a rustic style setting with multiple backdrop textures without ever hinting to the famous Florida beaches. For some clients, toes in the sand is not the look they are going for. For that reason, Koreshan becomes a fantastic alternate option. For Cassie and Jason, they wanted an area that would compliment their northern wedding next year, so they chose to shoot at Koreshan State Park and Historic Site. These two! 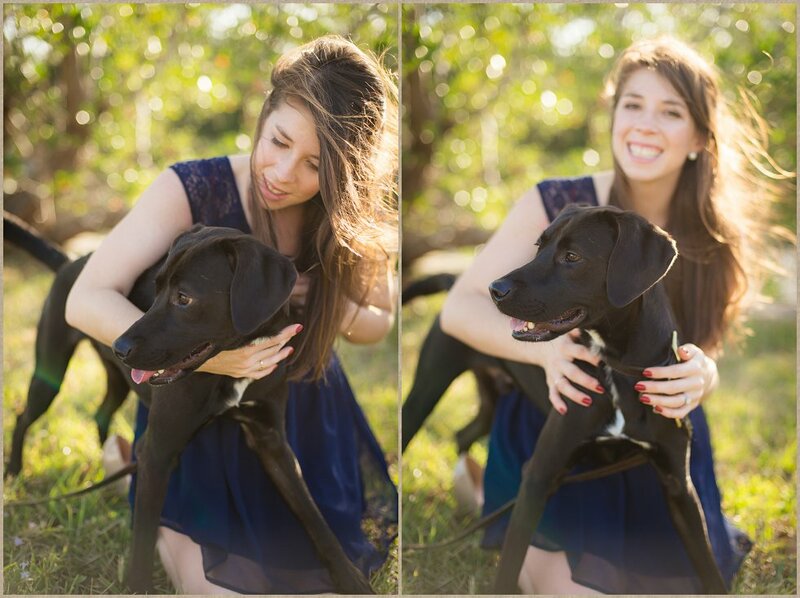 We met up with their sweet pups for an engagement session that was relaxed and casual. Nothing forced or strained, just the two of them and their sweet fur boys. I had such a great time amid all the laughs with these two. I wish them nothing but joy and happiness in their life together! Their September wedding is going to be filled with so much love. You can see it in every glance they make toward one another. "But, we don't want the engagement session." 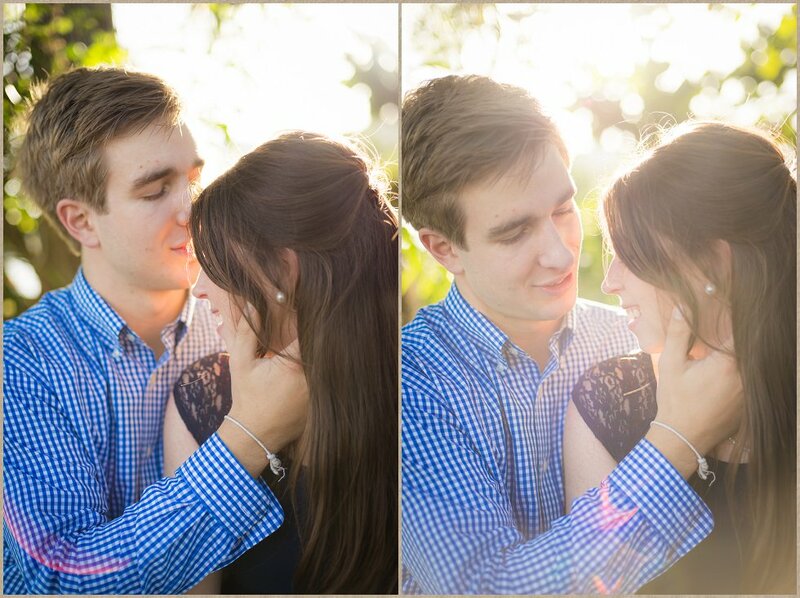 I strive to have an engagement session with every couple who pick Brooke Price Photography. The true value of an engagement session is so much more than what is on the surface. 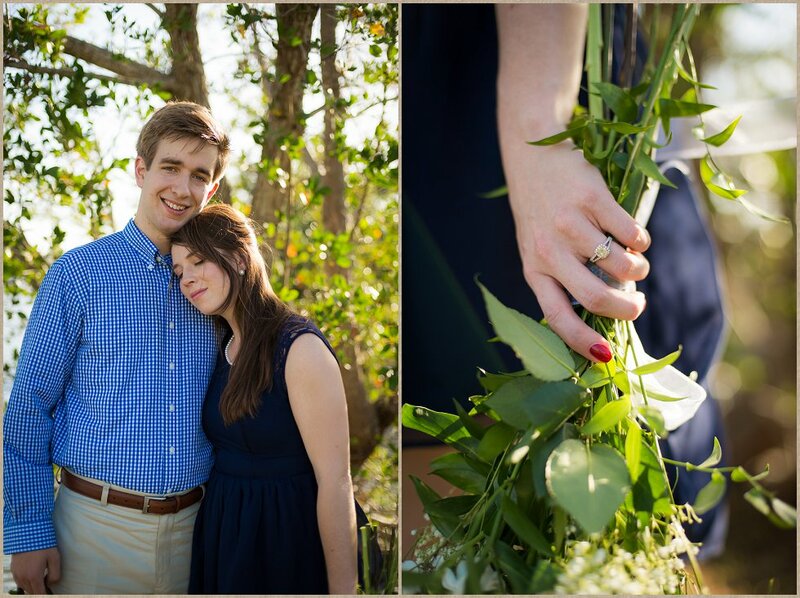 An engagement session gives you the opportunity to become comfortable with me and in front of the camera. While you are getting used to being in front of the lens, I am learning about you, as a couple. I can begin to understand who you are together, your quirks, your personalities, etc. For those who may be camera shy, you can become awkward around cameras. This discomfort can cause you to make the same false smile every time the shutter snaps. During the engagement session, I work to build your trust. I look for ways to make you relax and settle in so we can capture more natural, honest expressions. Even if I am not the photographer for you, heed this advice. 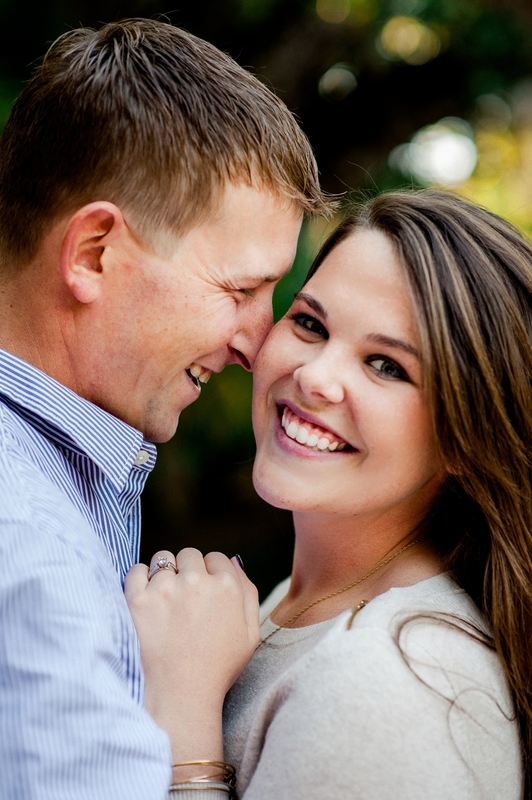 Have an engagement session with the same photographer who will be covering your wedding. The idea of the engagement session isn't just for Save the Dates and a Reception Book, it is to build trust with your photographer. That trust will make your wedding day run smoother and with less stress. Knowing and liking your photographer, is key in the success of your wedding. It will help keep you focused on the real reason you are having a wedding in the first place, each other. engagement, wedding, you might want to know! Torn, pages glued together with Orange juice, and stuffed in our storage ottoman in the living room. Books of any kind should never be treated like this. Those books, are my Wedding Albums. I want to tell you why. And why I say,"Don't be me." Every single detail of our wedding we planned ourselves, no planner, no coordinator. I hand-made our centerpieces, the favors, our invitations, and my bouquet as well as that of my bridesmaids. Oh! And, I hand beaded my wedding dress. ( 2 weeks, 257 pearls. I think about 15 band-aids.) We paid attention to every single little detail. Every detail, but one. All of those little details. Every fantastic little detail about the day I married my husband is in that ottoman. The photographer, wasn't who, if my husband and I had sat down and talked it over, would have picked. We had nothing in common with him. He knew literally nothing about us except the day we were getting married on. And, it shows in my photos. We are all happy. The pictures are nice. They just don't suit us, our style. The images as nice as they are, feel like nice images of other people. My cautionary tale is the fuel behind why I am so passionate about what I do, and why I want to give you some advice on choosing your wedding photographer. Your wedding day is one of the most important days of your life. This for most, is a once in a lifetime event. For that reason, choosing the right wedding photographer can be a critical part of your planning. Here is some helpful advice to get you started. 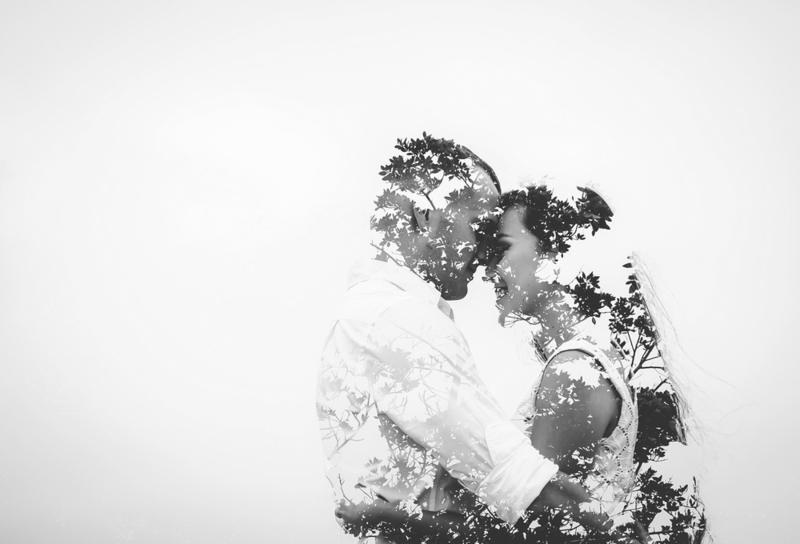 One of the first steps to choosing a wedding photographer is to get an idea of what type of photos you like. Explore different images and bookmark what draws your eye. Two great ways to achieve this are by either doing a Google search and bookmarking images, or my favorite, Pinterest. Pinterest has made it increasingly easy to find your photography tastes. Create a board for your image inspiration then search and "Pin" away. A collection of about 15-20 images should be enough to give you an idea of what style you are drawn to. Note the similarities of the images, the emotion, processing (clean and bright, hazy and vintage, etc.). Once you have an idea of your likes, begin your search. Who do I know that is recently married? What is the best place to start your search? Think of who you know that recently got married or engaged. Thanks to social media, they are sure to have an album of their photos you can view. Take a look. If what you see looks like it would mesh well with your inspiration board, ask your friend who their photographer was! Word of mouth is by far the best way for both you and your photographer to find each other. This one is a bit trickier because of the amount of information you are going to get, but works just the same. Any reputable photographer is going to have a decent size web presence. There is a lot of work that goes into making sure that happens. So, open your browser and start a search! Then, dig. Check out their website, stop by their blog, they probably have a Facebook, Twitter, or Instagram (most have all). Check these as well. Look into how they interact with their clients. Keep an eye on their work. Does it mesh with your inspiration? Is it consistent? Once you have established a list of photographers, it is time to get in contact! Many have websites with contact sections. How you choose to initiate contact with your photographer is up to you. You can send a quick message with the contact box, or you can call them. Either way it is important to provide as much information as possible in your first contact so that you photographer has an idea of the amount of coverage you will need. Does their style suit your needs and what you imaging your end results will be? Ask questions! Don't leave room for assumptions. No question is too big or too small and your photographer should be happy to help answer any that you may have. Hey! You didn't mention price! When you were choosing the photos for your style/inspiration, you did that based on emotional connection. The same should be said for the photographers you are thinking to hire. You want to connect with their work the same way. These days, staying on budget is very important and not to be overlooked. It is your job to choose the areas of your wedding where you are going to place the most emphasis. Your wedding photography is an investment. This is THE item that forever holds those details and moments, forever. Every couple's budget is going to be different, and every couple's needs will be different as well. This guide was to help you in your journey of finding the wedding photographer that best suits you and will best capture your love story. Don't be afraid to ask the photographer of your choice if they offer payment plans. Some are even willing to negotiate certain things. The keyword is NEGOTIATE. That isn't calling and asking them to do their service for a discount. If you want them to give you something, you need to be willing to give something too. So, say they have a package that is perfect for you except for a couple of items, ASK them if there is a negotiation to be had. What is the worst they will say, No? Maybe. But if you're wedding is being planned for the off season of your area on a weekday... well, they might just make you a counter offer you can live with. You'll never know if you never ask. Are my tips the end all be all of choosing a photographer? No. But this was just to get you going. Lots of posts are going to tell you to ask about certain types of equipment and teach you lots of fancy photography terms. But, if you don't know what any of those things really are, does that information really help you? Knowing what you like and what moves you and what speaks to you in an image, well.. that's a horse of a different color. Start with what you know, and then ask, ask, ask. 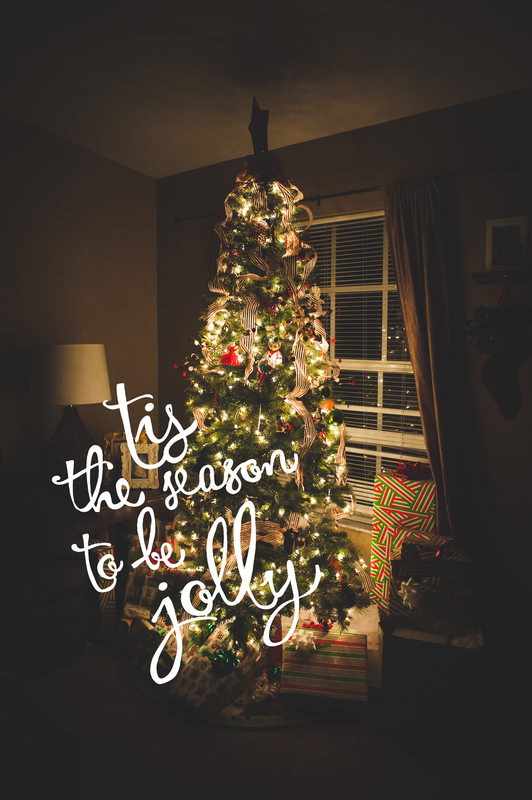 If you think this post is helpful, feel free to share it with others! If you've read this post and take an adventure around me site and think maybe we are a match, please reach out! I'd love to hear more about you! Happy hunting all you engaged couples! Feel free to leave any questions or comments. I'm happy to answer the ones that I can, and if I can't, well I'll do my best to find the someone who can for you! Kicking off the 2014 Studio Calendar is this super sweet couple. Maria + Ashton are planning on having the wedding of their dreams this summer, and this session was just the start of some new moments for them. Maria really wanted to have some fun and for the session to be casual. 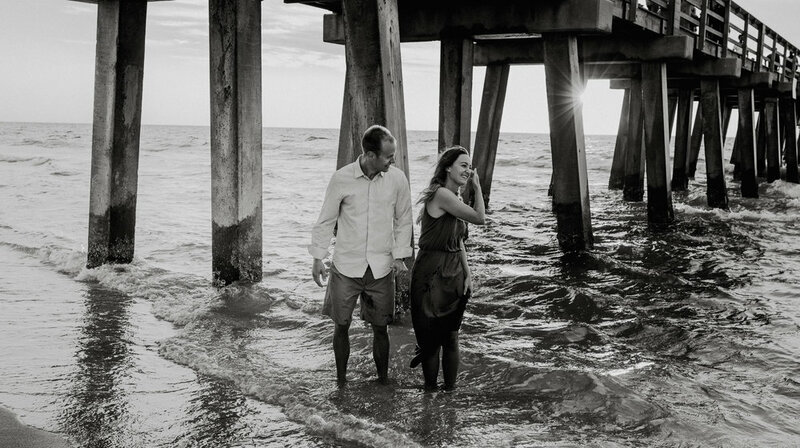 She opted to have the session at one of our gorgeous local beaches, the Naples Beach. We started the session at the Naples Pier and then traveled a bit north for some more images in the downtown area. The light was gorgeous! This couple was so much fun and I look forward to their wedding in August!